A new fire station for Buxton, located on a steeply sloping site on the outskirts of the town, providing an 8-bay appliance hall with all ancillary support accommodation, including extensive on-site training facilities, an area office and a suite of rooms for community use, together with new bases for local Cave and Mountain Rescue teams. 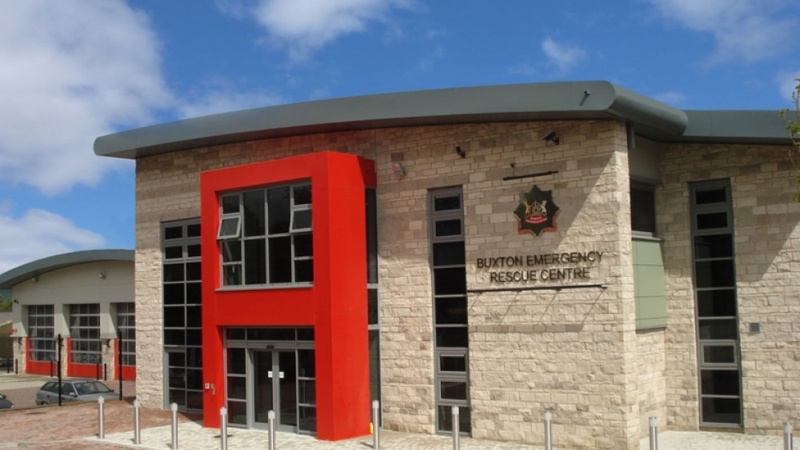 A new fire station for Buxton, located on a steeply sloping site on the outskirts of the town, providing an 8-bay appliance hallwith all ancillary supportaccommodation, includingextensive on-site training facilities, an area office and a suite of rooms for community use, together with new bases for localCave and Mountain Rescue teams. 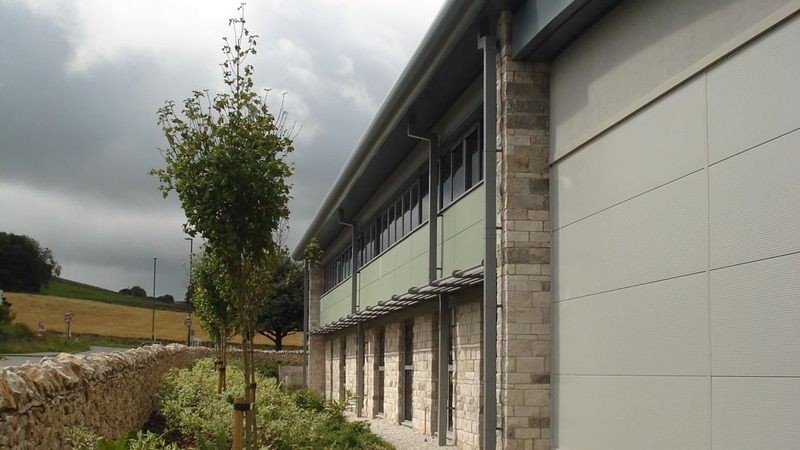 The contemporary design of the building combines modern cladding materials with local natural limestone and incorporates extensive photovoltaic and solar arrays and rainwater harvesting to achieve a BREAM rating of Very Good.